Built to captivate every gaze, Cammeo blends effortlessly into any ambience, yet it stands alone for its timeless charm and modern sensibilities. 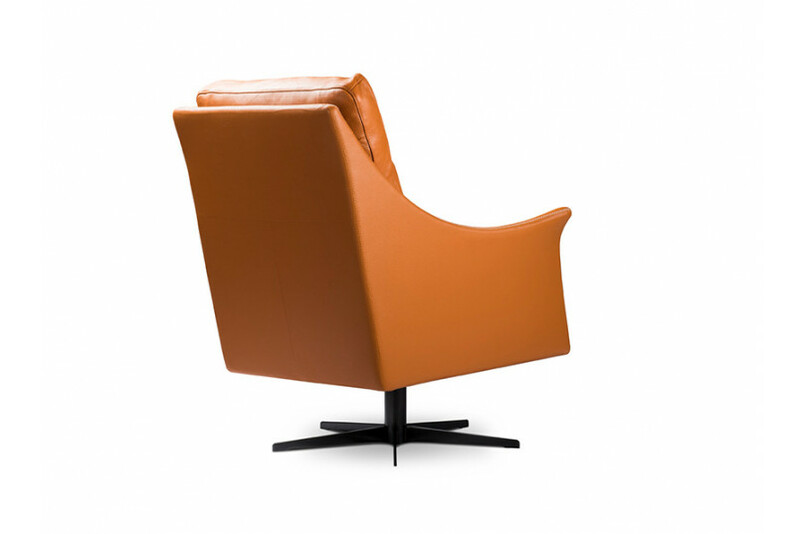 Characterize by the comfortable design, wide seating space and slightly curved armrests, this swivel chair is upholstered in plush leather that boasts of opulent luxury. Compact enough for any corner, this sofa chair carries a strong personality to be the main attraction. With the sculpted lines and sophisticated design, the intrinsic detail of cross-stitch work gives it a more edgy appeal. Accentuate your living space with this elegant, chic and palatial sofa chair.